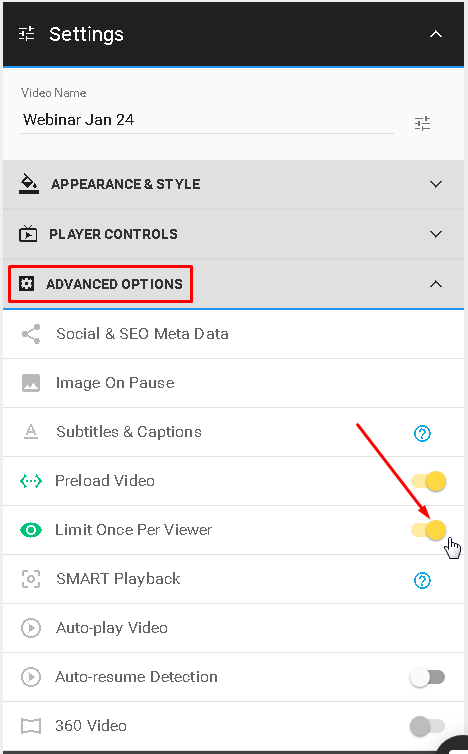 This feature will allow you to limit your video to only one view per viewer. You can find it in ADVANCED OPTIONS under Settings. Just turn the toggle on and save your settings.